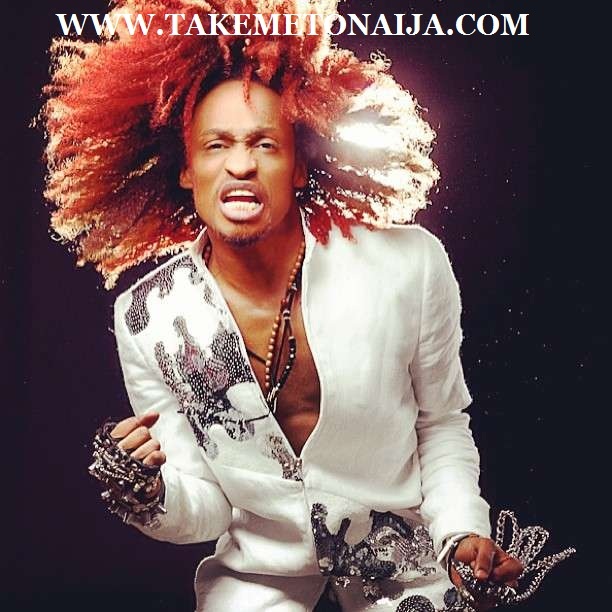 Denrele Edun is a popular Nigerian On Air Personality, he is a TV presenter for Chanel O. He is mostly known for his “crazy” personality, Denrele is also an influential person in the Nigerian entertainment scene. Denrele was born in Germany (Hamburg) June 13, 1983. His dad is a Yoruba man from Ogun State while his mum is half Indian. He is the first and only son, he has two sisters. He grew up in Germany for the first five years and that was where he got his first modelling job. His dad took him to a photo studio and told him to take pictures and somebody just saw the pictures and said they were lovely and the next thing was there were bill boards everywhere in Germany with his picture. His dad was very happy, he didn’t know he was supposed to collect some sort of compensation but by the time somebody told him it was too late to sue. It was a baby milk advert so they gave them about 100 cartons of milk. He came back to Nigeria when he was five, he could not speak a word in English. He went to many primary schools just to polish his English. Later he began to speak English and Yoruba well, then he ended up at the Federal Government College, Ijanikin (the staff school) and later went to St. Gregory College, Ikoyi from there I went to the University of Lagos. When I was a lot younger I loved music a lot, but the thing is I can’t sing, I have a very terrible voice. I sing off key, off tune and I used to be in the choir. My dad was a DJ in Germany not for serious business, so he had lots of records, so I used to take his headphone and then I will start singing and jumping all over the place. My mom used to overlook it because she was not a Nigerian so she just thinks I like music but my grandmother thought I was mad and she told my dad that I needed to be examined. At that stage I loved fashion. I loved to watch fashion shows and to read magazines. At the age of seven, I was a good reader of the popular Mills & Boons. I love to read. I read any thing that came my way. I loved to style my hair in different patterns, just to make people envy me and in my school I wore the longest socks which was up to my thighs and this even made my schoolmates think I was abnormal. During the period I was in the choir I was singing treble, my voice just broke down and I still don’t know why till today. So, in church I would open my mouth like I was singing but no sound was coming out so people thought I could sing until I messed up when I had an individual performance. But I was a very fantastic dancer. Because of that I used to have a terrible mouth, I was rude and insolent. I felt I could just talk to anybody anyhow, but I am now more cautious. There was a time I begged my dad to buy me a story book (My Book of Bible Story) because everybody in my class had it except me, so he bought me another version that was different from everyone’s own. I was angry and I threw it away. My dad beat me black and blue. Along the line, the mirror in the room broke and cut me on my leg. I refused to talk to him for a week. When he came to pick me up from school I refused to enter his car. I trekked home, which is like trekking from Berger to Ketu so you can imagine how stupid I was to have walked. performed she told them to give him a role. became excited.” In his words. As an undergraduate at the University of Lagos he went into modelling, and after graduation, he joined Sound City as a TV presenter. Denrele studied English Education at the University of Lagos. Denrele is an entertainment personality whose style has been described as “punk and fun”. In an interview with ModernGhana, he stated “I am just expressing my individuality. Most people ask me that question and I would say I just want to be me. Some people think I dress like this to attract attention, but I have always had attention from childhood”. Denrele has won 16 awards and over 30 nominations in his career. He has previously worked with SoundCity before he was forced out and he moved on to become one of Channel O’s VJs. Denrele has interviewed the likes of Akon, Beyoncé Knowles, Tyler Perry, Lil’ Kim, Snoop Dogg, Cuba Gooding, Amerie, and Lloyd. Edun hosted the movie premier of Hoodrush. Denrele has been credited for being behind the success of Big Brother Amplified Winner Karen Igho. I am just expressing my individuality. Most people ask me that question and I would say I just want to be me. models I was modelling with were very tall so you can hardly notice me. my trousers 10 times you won’t know because I will keep redesigning it. then are the ones now running after me. That is life. So does this crazy dressing have any positive or negative influence on your personality? is an extension of my person. It is a reflection of my individuality. definitely know that the person who sewed the clothes is not a dullard. of it; it is just me expressing myself. I think people believe what they want to believe. On the part of Charley Boy and me, I was not expecting the paparazzi that came with the picture. So what was the picture about then? whatever it was, people should just go ahead and make their conclusions.